Finally, you can now enjoy your Infinix Note 4 Pro without downgrading again. One of our recent post talked about how to downgrade to Nougat 7 and this was due much complain from different users. It's another hot update coming to you now, finally the compatible Oreo update is now make available. All the recent disappeared features complained about are now available with clean UI, a new VoLTE and stable calls features. 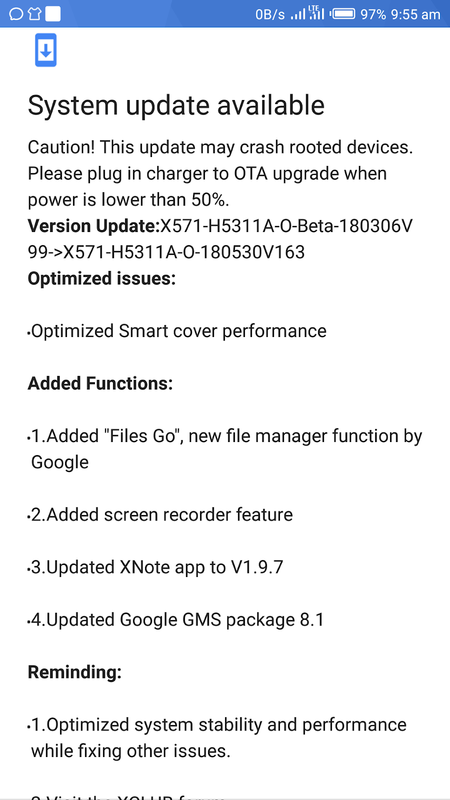 Xhide app did not come with it but has a better substitute XNote app, screen recorder is available as well with new file Manager function by Google called "File Go". You can check under setting to know if the update is available so as to Download and Install, if the update pop up is coming up late. The update file size is just 410.9MB, go to Setting >> About Phone >> System Update then you can tap to start your update.